“You are what you eat.” It’s a common saying, but when it comes to your health – especially your gut health – what you eat has a profound impact on keeping you in good shape. A growing field of research is finding that bacteria and other microorganisms that live inside your gut play a crucial role in our health. With 100 trillion bacterial cells in our gut, that’s a lot of mouths to feed! The different strains of bacteria in our gut can change drastically depending on the types of food eaten. Of all foods, fibre is especially important as this is their key fuel. Particular types of fibre, called prebiotics, are especially important as these fuel the growth of particular groups of the beneficial bacteria, such as Bifidobacteria and Lactobacillus. 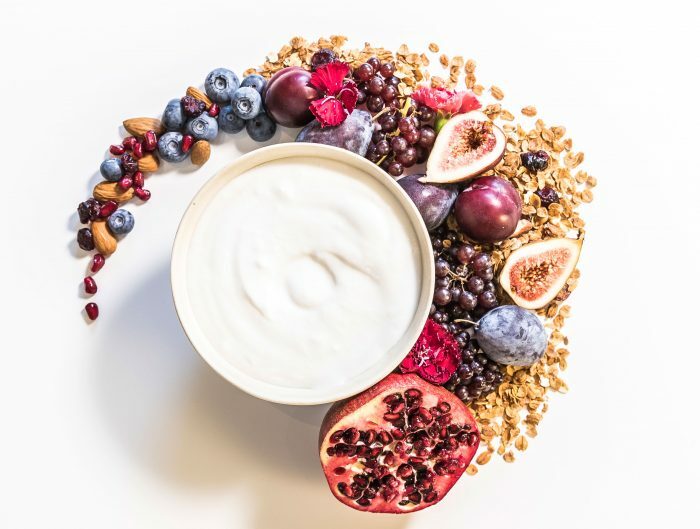 Some of the benefits of feeding your healthy gut bacteria include improving the functioning of the gut wall and keeping bowel movements regular. What’s more, by providing plenty of prebiotics for the beneficial bacteria to ferment, you help reduce the amount of potentially-damaging gut bacteria. These benefits are principally brought about by the fermentation process. When the bacteria ferment the fibres, they produce a group of compounds called short chain fatty acids. These increase the acidity in the bowel, making it harder for potentially harmful bacteria to thrive. The fatty acids also keep the cells of the gut lining healthy and help us to absorb more nutrients from our food, such as calcium and magnesium. 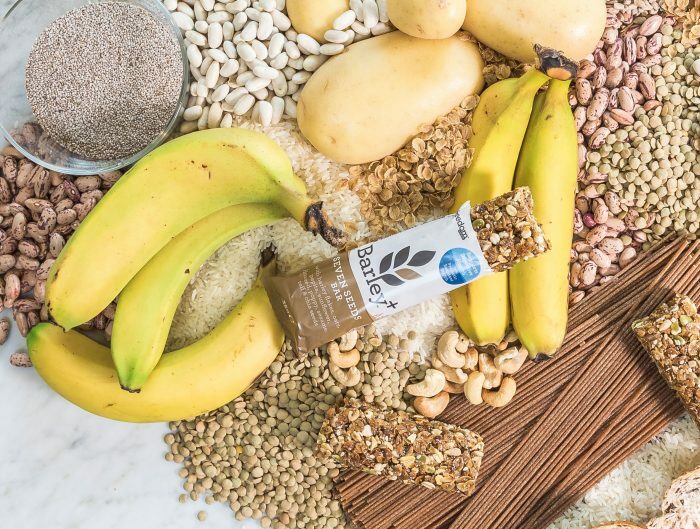 To keep your gut environment thriving, aim to eat more foods high in different types of fibre including soluble fibre, insoluble fibre and resistant starch. Fibre can be found in an array of everyday foods. The simplest nutrition advice is to eat a wide variety of nutritious whole foods from all food groups, which would naturally contain different types of fibre. Barley and oats are a rich source of the soluble fibre, beta-glucan. Beta-glucan acts as food for your good gut bacteria and helps lower cholesterol levels. While researchers have yet to work out what the ‘perfect’ diet may be for gut health, we already know that the worst way of eating for your digestive health is consuming too many highly processed foods, too much sugar and not enough fibre. The good news is that a shift to a healthier diet can change the bacteria mix in just a few short days. Two weeks is a short time, but long enough to make changes to the microbe population that can reduce your risk of disease. To make these changes permanent, you have to keep up your new healthier diet; revert back to your previous way of eating, and your gut bugs will revert back to their previous profile. Stick to the better food choices and you’ll reap the benefits of a healthier, more balanced and diverse range of gut microbes. To do this, approach it as a long-term game – make small changes and healthy food swaps over many weeks to make the healthier diet sustainable. Something as simple as eating two pieces of fruit each day and opting for whole grain foods over refined grains is a great way to start. Then look at adding in more prebiotic foods to vary your diet. Remember, healthy eating isn’t only to keep your stomach happy – your own unique collection of gut bacteria will thank you, too.